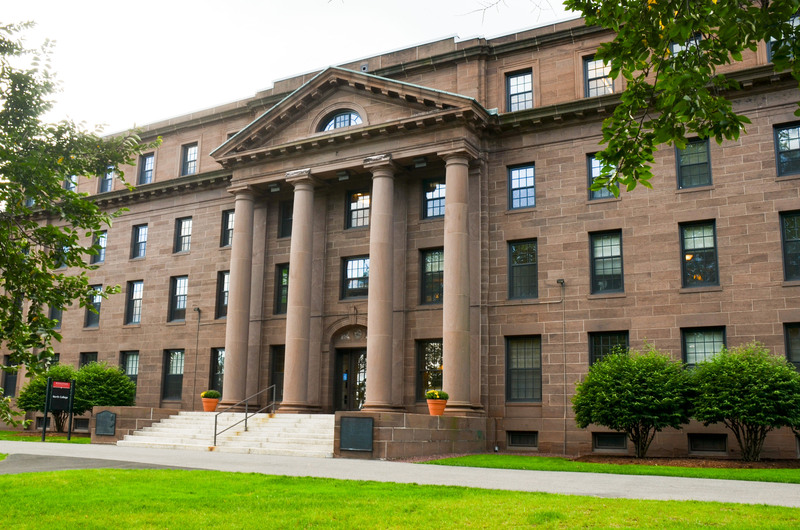 A Wesleyan Student Assembly (WSA) resolution calling for the Wesleyan Educational Policy Committee (EPC) to raise the maximum grade that allows a student to retake a class to a C- passed unanimously on Sunday, Oct. 7. As it stands, the University only allows students to retake a class if they fail it. The EPC will discuss the proposed policy changes at their next meeting on Thursday, Oct. 11 and determine if these amendments will become official University policy. Zoe Garvey ’20, a sponsor of the resolution, proposed it after receiving a passing grade below a C in a core pre-medical course. Garvey realized she was unable to retake the course to earn a higher grade, which would cause her application to be filtered out by graduate school admissions application screening processes. Wesleyan’s current policy requires students to have either failed or withdrawn from a course in order to retake it. The proposed policy amendments would also benefit those who did not pass a class with a qualifying grade for their major requirements. Under the new policy, both grades from each time a course was taken would remain on the transcript, and the first grade would be accompanied with a footnote indicating that it was retaken. Health Professions Advisor Mildred Rodriguez and representatives from the Career Center assured the sponsors of the resolution that the presence of the initial grade with the footnote would not cause applicants to be filtered out in graduate school screening processes. The average of the two grades would be calculated into the student’s cumulative Wesleyan GPA, as graduate schools calculate applicants’ GPAs in this manner. Credit would be awarded for both courses, however only the credit for the retaken course would count towards graduation credit hours and major requirements. Credit for the first time the course is taken would count toward the Wesleyan credit hour requirements to be considered a full-time student, but when retaking a course, it would not. Therefore, a student must enroll in at least three other courses to qualify for full-time status when retaking a course. At the WSA meeting on Sunday, the sponsors spoke about including a clause in the resolution that acknowledges that the University’s current retake policy and recommendations for students who failed courses disproportionately affects non-white students. The resolution’s proposed policy changes would also allow students to ask for approval from a Department Chair to retake a course in which they have earned a grade of C or better but acknowledges this process would be against the University’s recommendations and would only occur under special circumstances. If they took the class Pass Fail and they passed, can they take it again?